Xperia X Series Is The Future Of Sony Mobile! Home / mobile / news / sony / Xperia X Series Is The Future Of Sony Mobile! 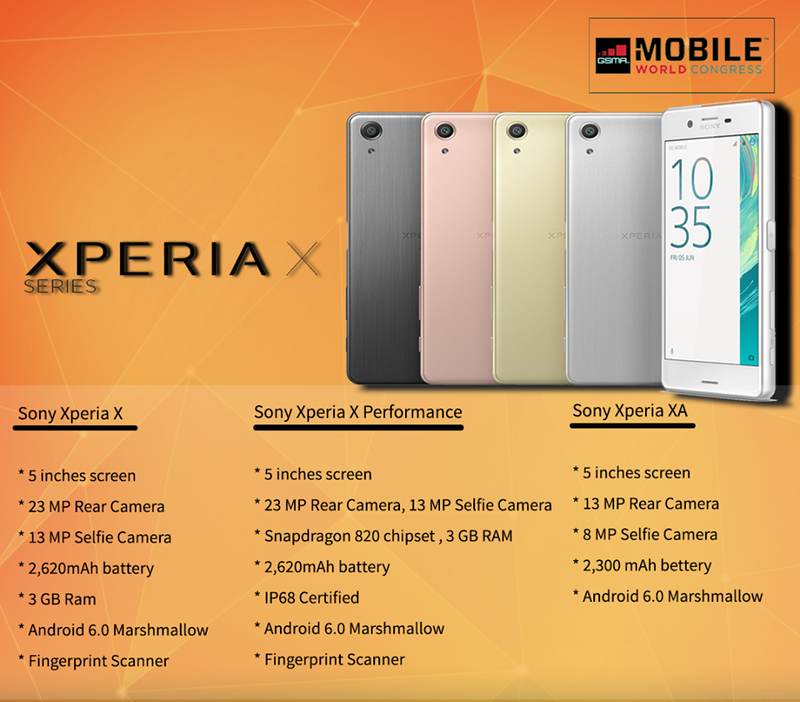 Recently, Sony just announced the X Series at the MWC 2016, the replacement to the ageing Z Series. As a result, they were able to came up with the Xperia X, Xperia XA and Xperia X Performance that got a much needed upgrade in design, specs and features. In terms of design, all 3 devices have 5 inch screens with a notable change in terms of their traditional onmibalance design. It now goes with with a tone to tone paint approach and the glass at the back was replaced with a metal back. The X Series now also has 2.5D glass on top and a more rounded look for better hold and grip. The Sony Xperia X features a 5 inch FHD screen, Snapdragon 650 hexa core SoC, 3 GB RAM, 32 GB expandable internal storage, 2620 mAh battery, 23 MP rear cam, 13 MP selfie cam, fingerprint sensor and runs on Android 6.0 Marshmallow. The Sony Xperia Performance on the other hand packs a lot more power and features as it boast the Snapdragon 820 octa core chip and IP68 water and dust resistance. The Sony Xperia XA appears to be the budget model among them all. It goes with the same 5 inch screen and the powerful MT6755 SoC by MediaTek but has lesser configuration overall. The XA has a smaller battery size, doesn't have a fingerprint sensor and stero speakers. There's no word yet about availability in PH and prices, we'll keep you guys posted.